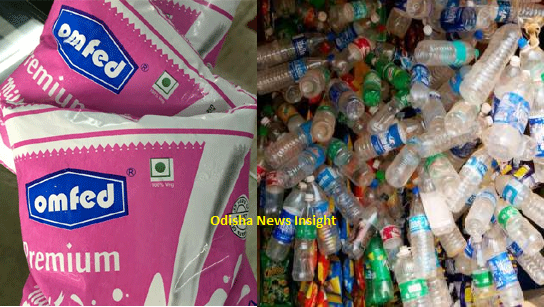 ONI Bureau: Moving towards its target of making Odisha plastic-free within next two years, the Forest and Environment department decided to buy Omfed milk packet and plastic bottles from people after use. The details for collecting the plastic bottles and packets will be provided through a public notice by August end however, rules on plastic ban will be formulated by September 15, informed Additional Chief Secretary of Forest & Environment Department, SC Mohapatra. It is to be noted that on the occasion of World Environment Day this year, Koraput Forest division purchased unused plastic bottles from residents and business establishments in the district.